This just in: T​arget ​​has a new, festive collection to update your festival look this year! Whether you’re looking to dress dark and moody or bright and bold, Target’s got you covered with many stylish pieces. I’m excited to share with you two different festival styles that you can wear this season! 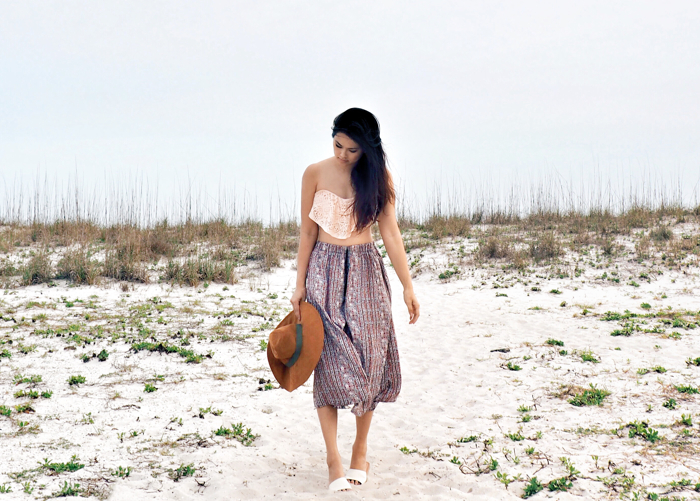 For this romantic style, I wore a flirty bikini top with a pair of printed culottes from ​Target​! My favorite part to this ​Xhilaration bikini top​ is the laser­ cut designs and the sorbet color! The culottes​ are light and airy, which makes them perfect to wear on any sunny day. If you are a girl who loves intricate designs and fresh colors, this is the festival look for you!